I may be biased, but in my opinion, the 2 best things to do in the Andamans are dive and then relax on the beach with a nice book. That sums up the island experience that makes these islands so magical – the easy-paced lifestyle, the greenery and the lack of nightclubs, bars and other bastions of “modern civilization”. That said, we are willing to accept the possibility that some people – strange as it may seem – will not be satisfied by this, and are actually looking for things to do which keep them busy and also let them explore the islands in more detail. Fair point – i am congenitally incapable of sitting still when i am on holiday, and the idea of spending my entire vacation loafing by the beach or poolside doesnt work for me either. So here are some suggestions on a few things for the intrepid island explorer to do in the Andamans. Ok, we are kinda belaboring the obvious here, but for good reason. There are very few places in the world which have a similar amount of bio-mass on the reefs, thanks to the fact that there isnt a lot of large-scale trawling here. Enjoy it while it lasts, because there aren’t many places in the world which offer this. And diving is an activity which has many levels – ranging from easy guided intro dives for beginners, to more immersive programs for people more interested in the underwater world (and willing to commit the time to the sport). So really, if you are coming all this way, do take advantage of this and dive. 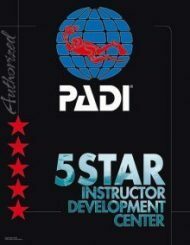 Do keep in mind that diving is not a commodity activity – just as 2 colleges arent the same and the quality of professors has a great effect on a student’s experience there, not all dive centers are created equally. Do your research (and this is true not just for the Andamans but everywhere in the world). Diving can be done in Havelock (the best established dive destination in the region), Neil or Port Blair. Snorkeling is often considered the “lesser” cousin of diving, mainly because it isnt as immersive – you are on the surface, looking down at fish, where on scuba, you are down there surrounded by the fish. That’s a fair point. On the other hand, diving is equipment intensive and somewhat limiting in terms of schedule, whereas snorkeling is something you can do almost anywhere there is a beach and at any time that is convenient. You don’t need a lot of gear either – just mask, snorkel and fins (these can be had for very cheap, but we recommend getting slightly nicer gear from established manufacturers like Aqualung and Mares – they will last longer and be of better quality). 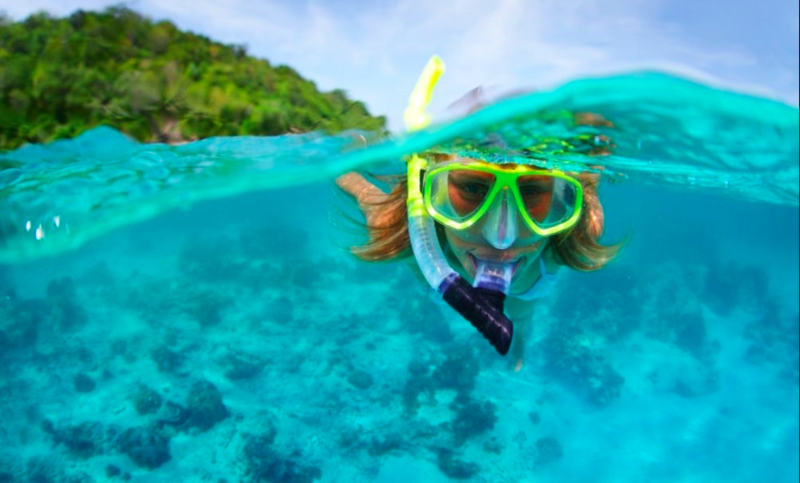 Snorkeling can be done in Havelock, Neil or Port Blair. This activity is still in its infancy, but Tanaz Noble, of Andaman Kayak Tours, runs very high quality kayaking trips in Havelock. A national-level kayaker, who has done 100km solo kayaking trips, this is a labor of love for her, much as diving is for us, and it shows! Kayaking provides a very peaceful way to explore the coast of Havelock, without the noise of a boat engine marring the experience. And obviously, it is good exercise as well (although you do not need to be super-fit to do this – reasonable fitness is more than sufficient). 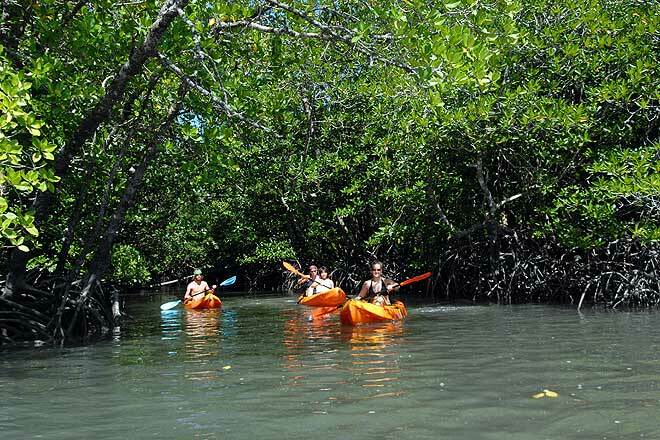 The kayaking trips combine the kayaking activity with either snorkelling or exploring the mangroves: the latter is a great way to see some of bird and reptile species of the islands. This is the hottest new underwater sport in the world and lets you explore the underwater realm without any specialized equipment. As the name implies, it is breath-hold diving: going down and exploring the underwater world in one breathe, surfacing, recovering and repeating. Participants of the sport call it the most zen-like experience they have had, truly close to flying and with the added bonus of utter silence, without any intrusive bubbles. It does require a little more fitness, swimming skills and commitment than scuba – but then, nothing good is ever really easy, right? Diveindia offers skin diving classes in season in Havelock, the first center in India to do so. At this point, we start to point you to the fact that there is a LOT more to the Andamans than Havelock and Neil. 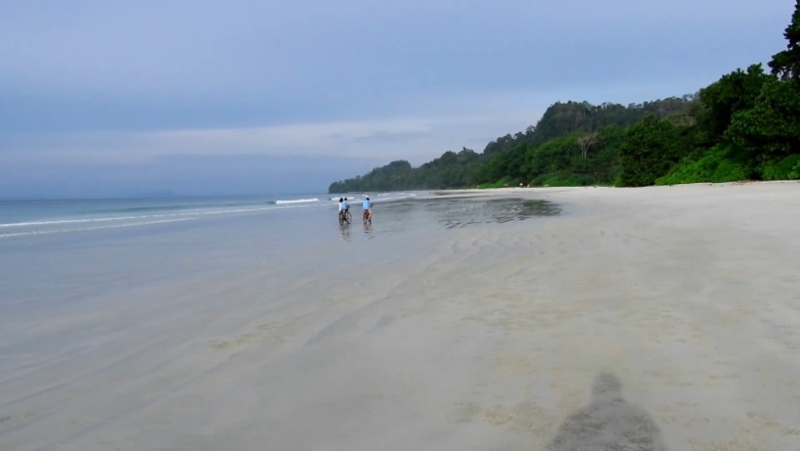 The entire North Andamans awaits – Rangat, Mayabunder, Diglipur. The last is home to Saddle Peak, the tallest peak in the Andamans and an excellent hiking destination (and very good birding as well). And as an added bonus – you won’t see a single package tourist being driven around from beach to beach in a car, either. 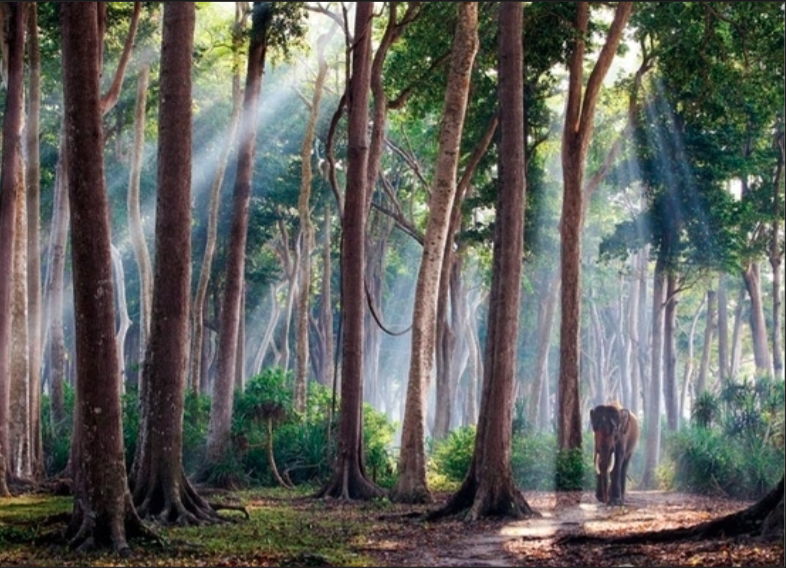 There are shorter jungle walks available in Havelock and Port Blair (Mount Harriet and Chidiya Tapu) as well. One thing all these walks have in common: the amazing, prime-growth rainforest that you will be walking in, with birds and reptiles to be spotted. If you are in Havelock, consider doing your daily traveling on the island by bicycle. From Village #3, the roads go 9km towards Radhanagar Beach, 9km towards Kalapathar and 3km towards the jetty. So all easy cycling distances, and all of them are flat, except for the last 5km stretch towards Radhanagar, which has a few short climbs (you can always push your bike up the steep sections – they arent that long). Get some exercise, soak in the fresh air, and explore the island in a more leisurely manner, rather than whizzing by on car: where’s the downside, again? Bicycles are easily available for rent in Havelock.